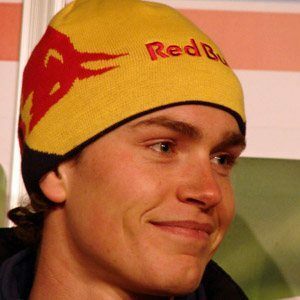 Canadian ski racer who won gold at the FIS Alpine World Ski Championships in 2011. He won the Discipline Trophy at the 2010 Alpine Skiing World Cup. He began receiving coaching from his father at age twelve. He became the first skier from Quebec ever to win the men's downhill race at the Alpine Skiing World Cup. He has daughters named Logann and Leni. He and Dave Irwin are famous alpine skiers from Canada.